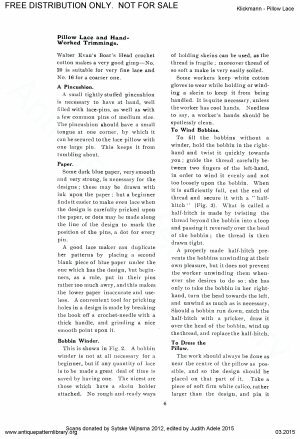 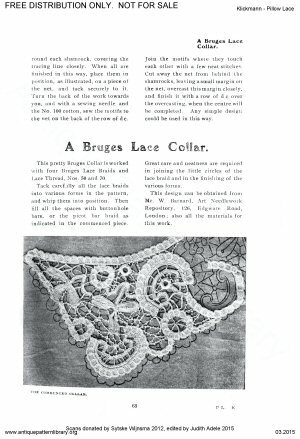 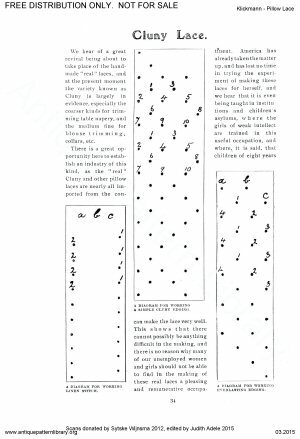 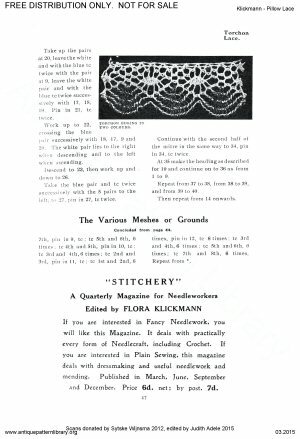 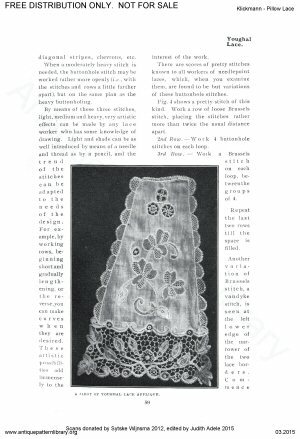 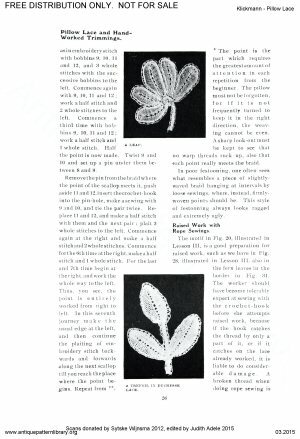 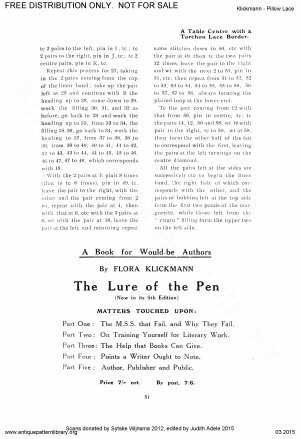 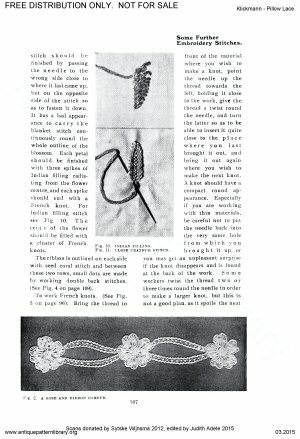 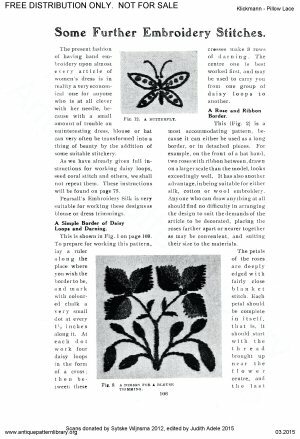 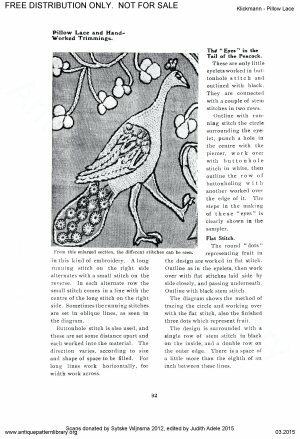 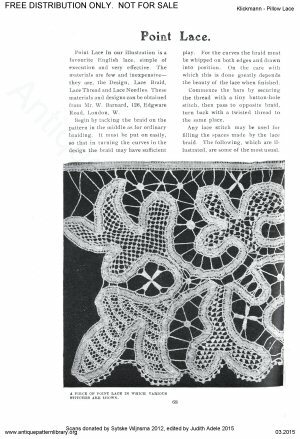 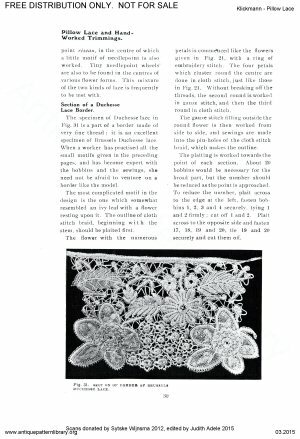 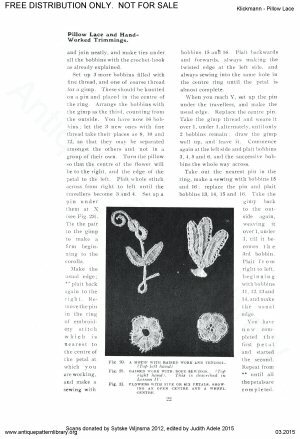 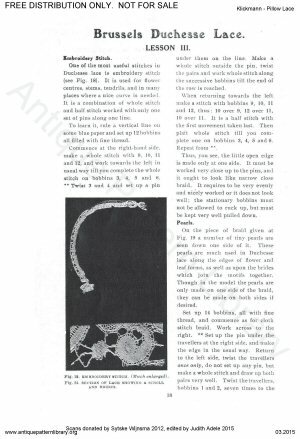 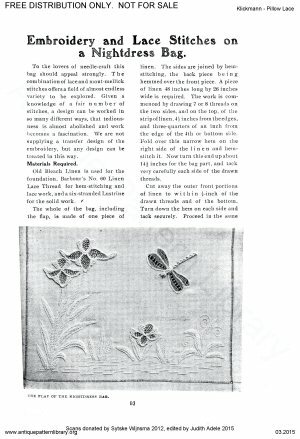 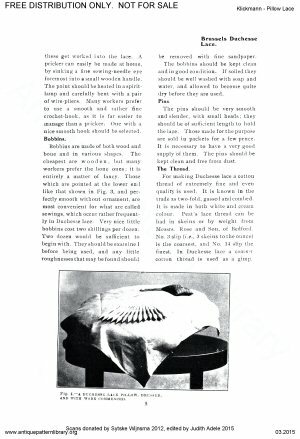 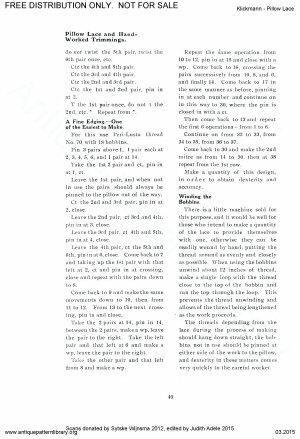 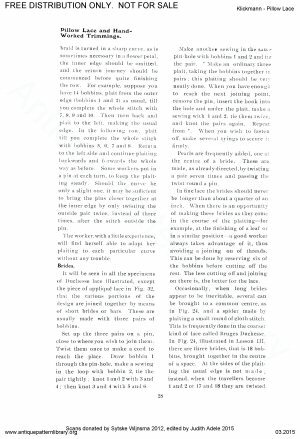 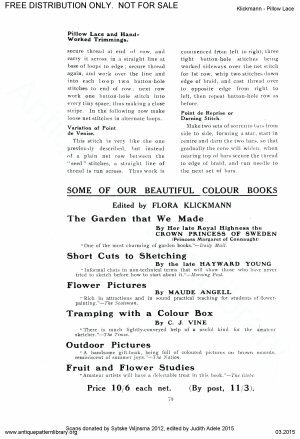 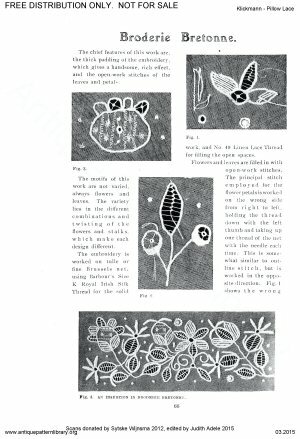 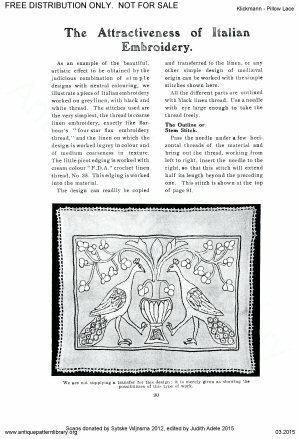 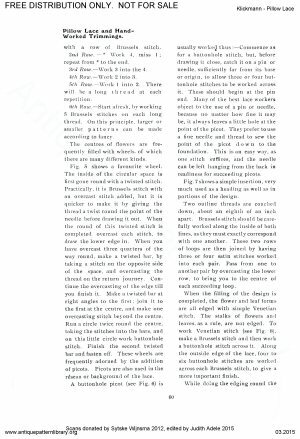 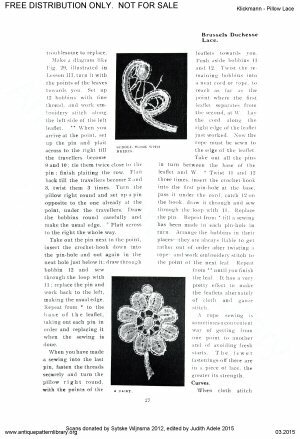 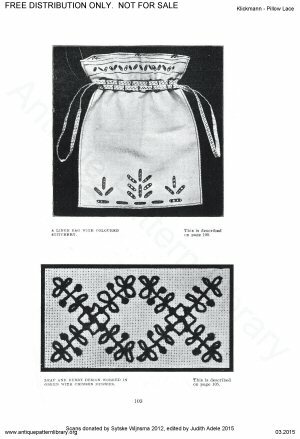 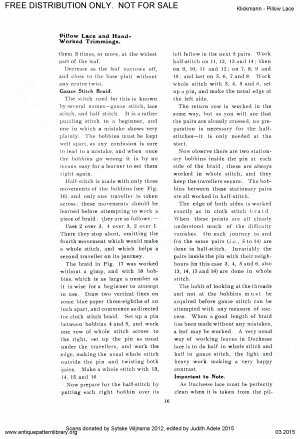 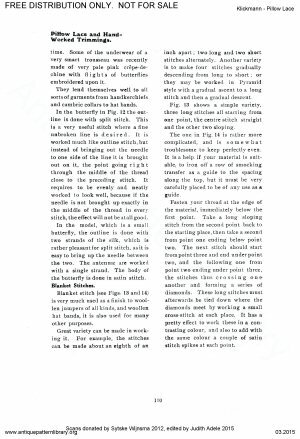 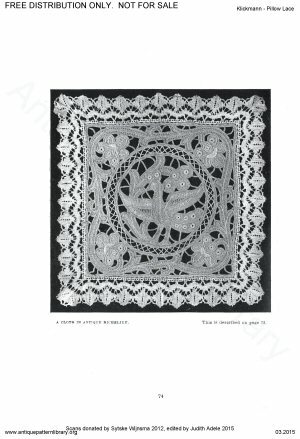 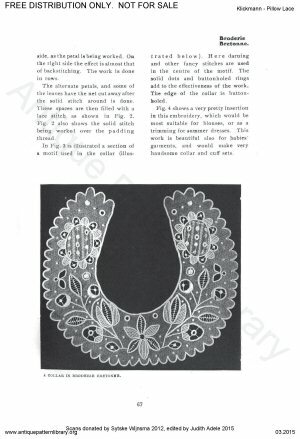 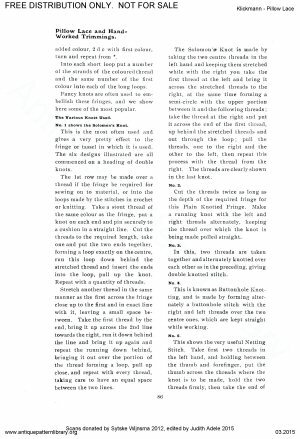 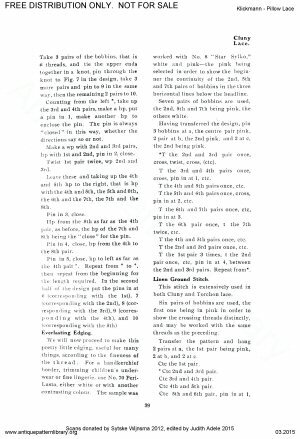 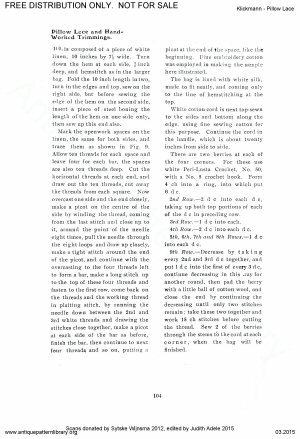 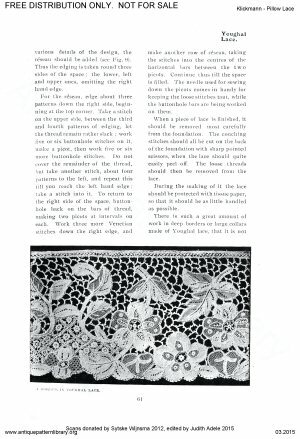 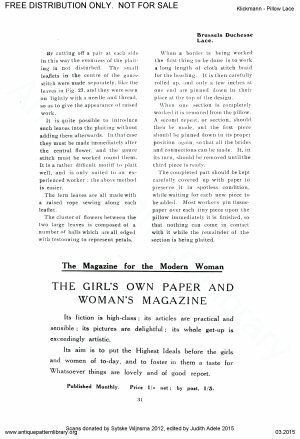 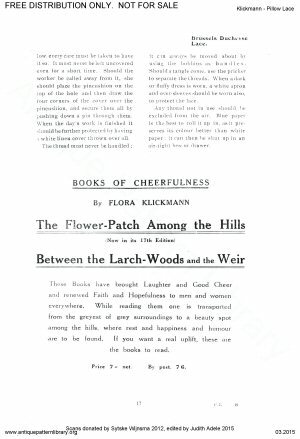 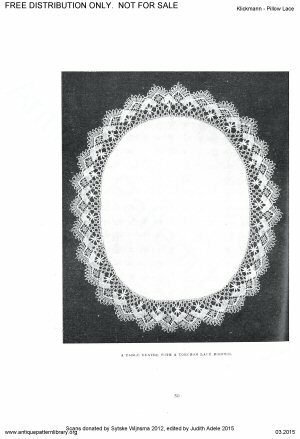 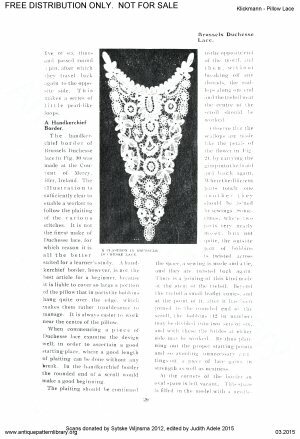 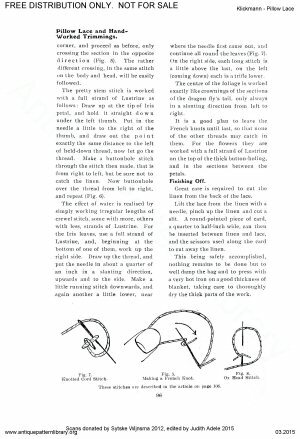 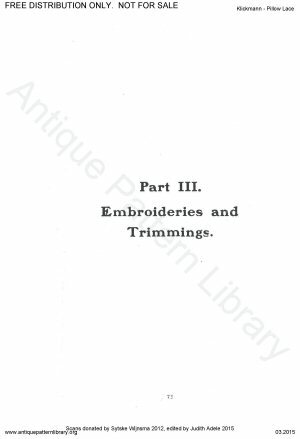 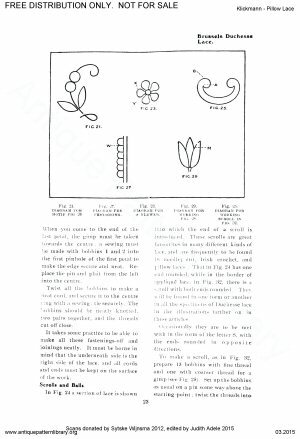 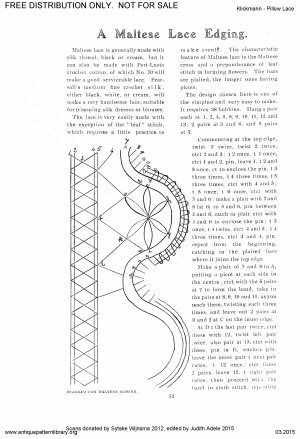 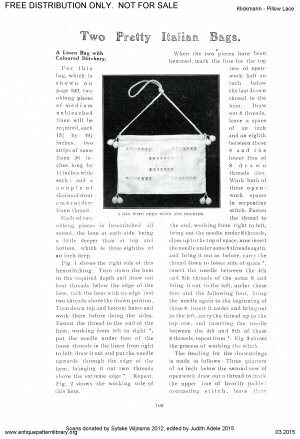 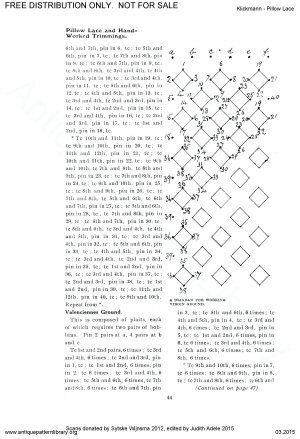 containing directions for making Brussels Duchesse llace, Cluny lace, Torchon lace, Maltese lace, and a variety of designs for decorative embroidery stitches. 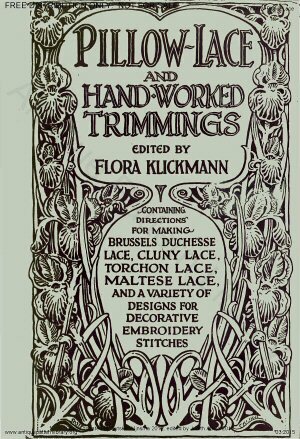 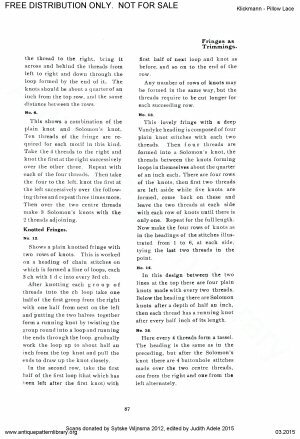 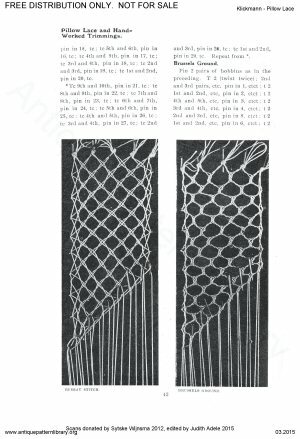 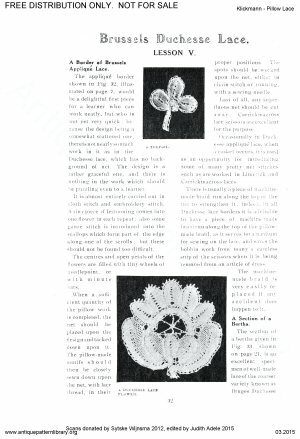 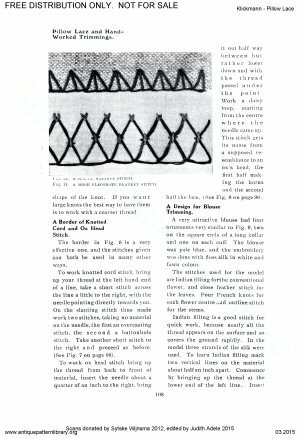 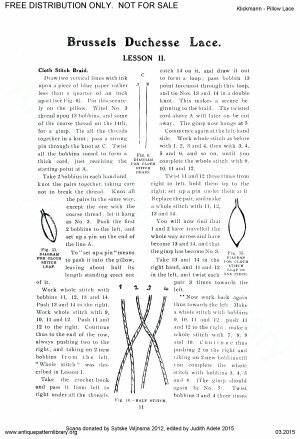 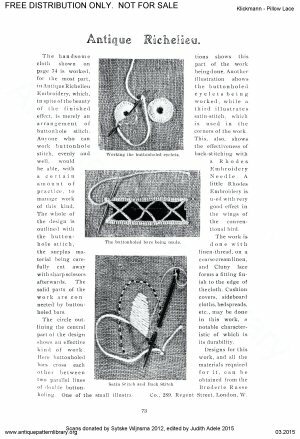 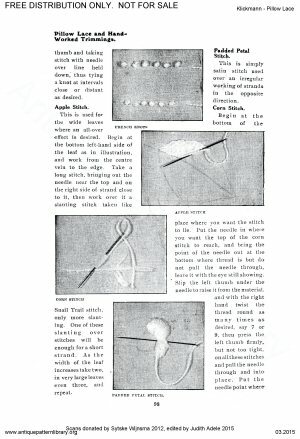 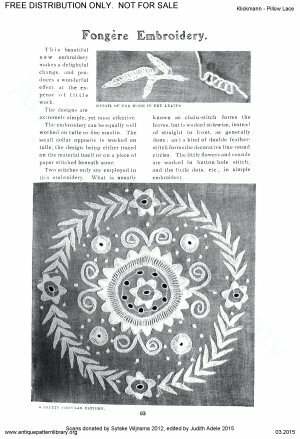 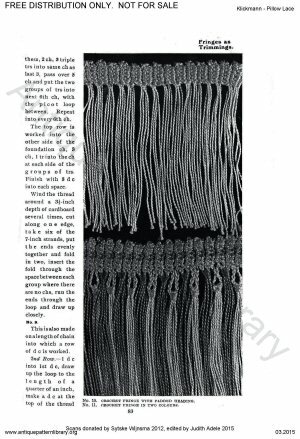 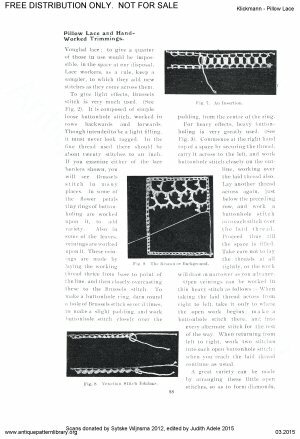 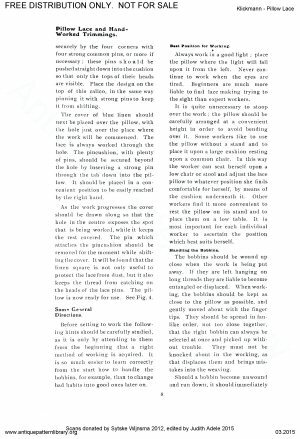 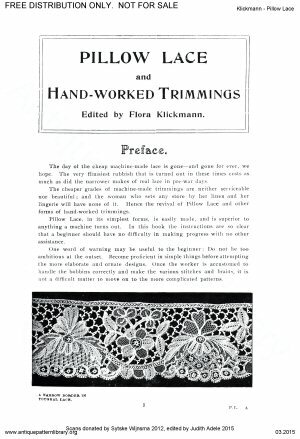 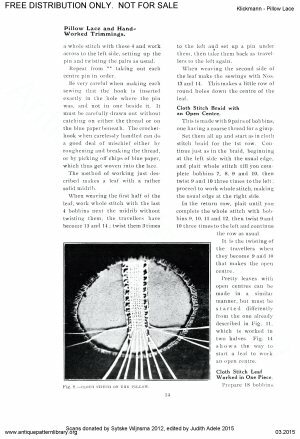 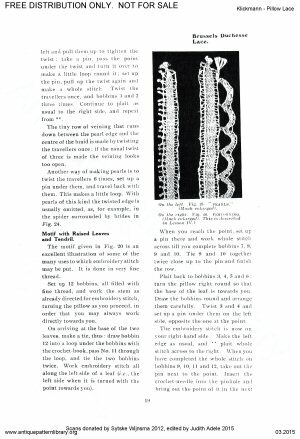 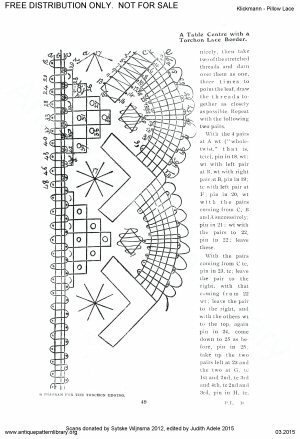 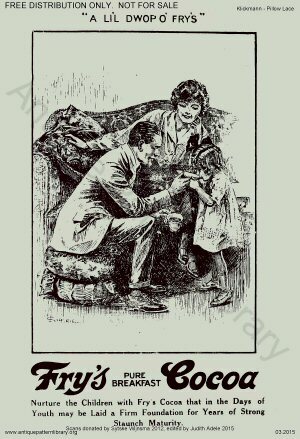 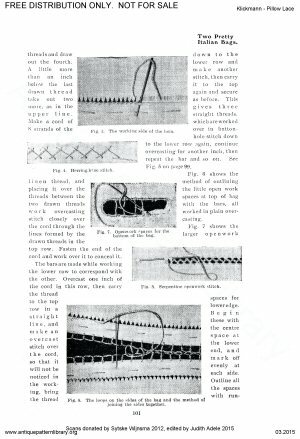 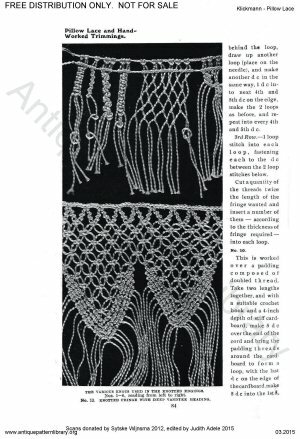 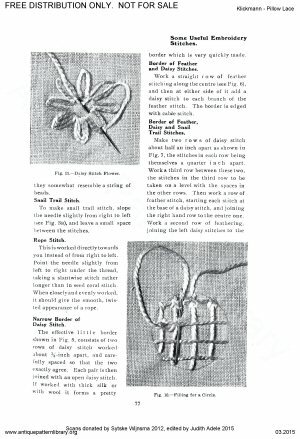 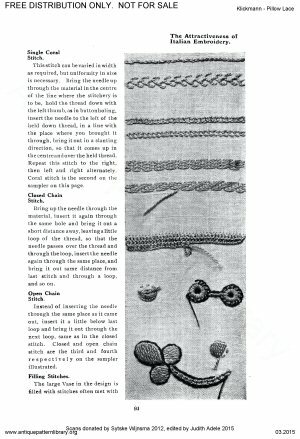 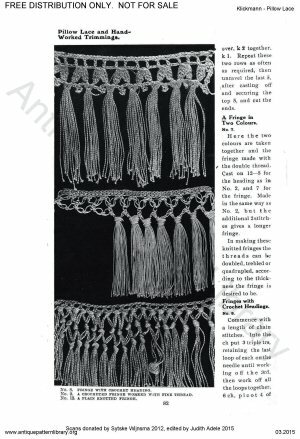 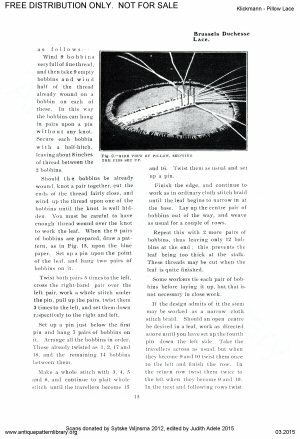 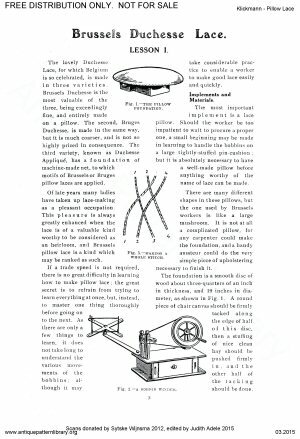 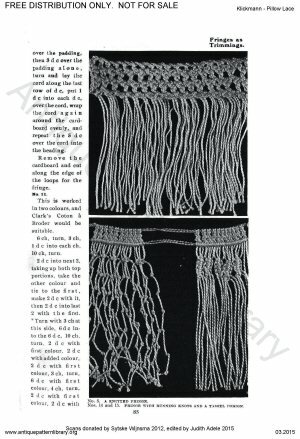 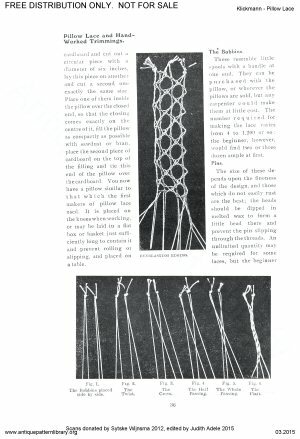 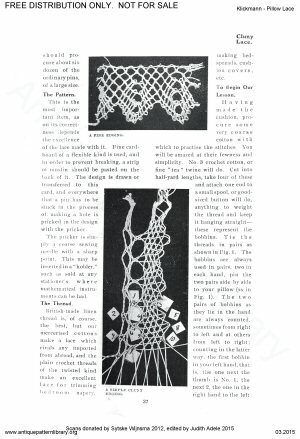 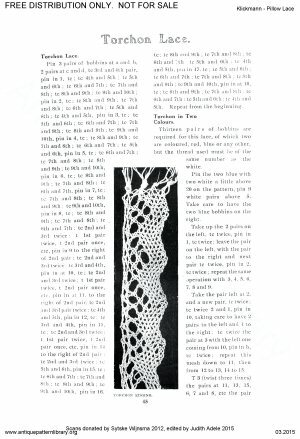 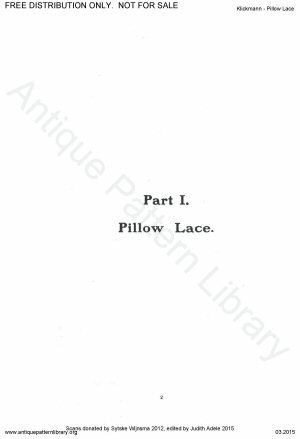 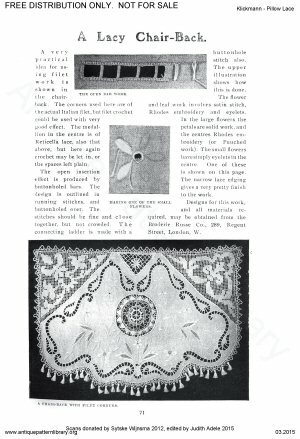 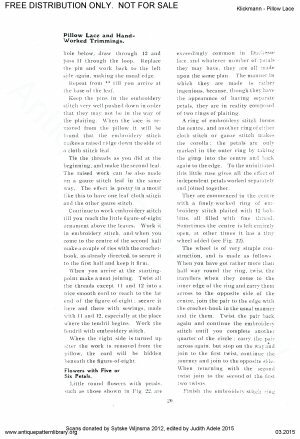 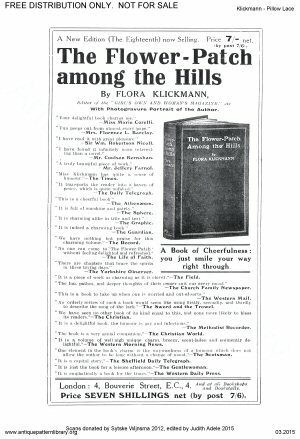 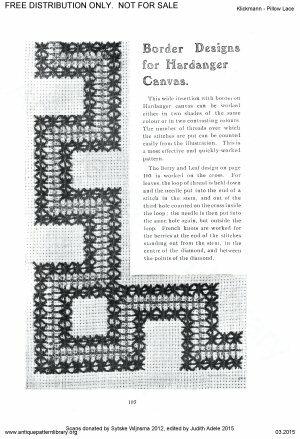 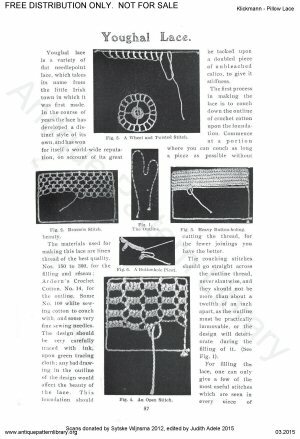 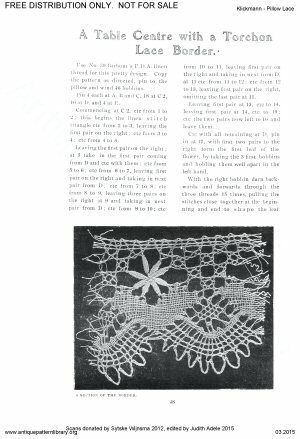 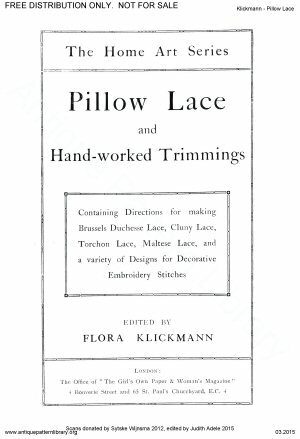 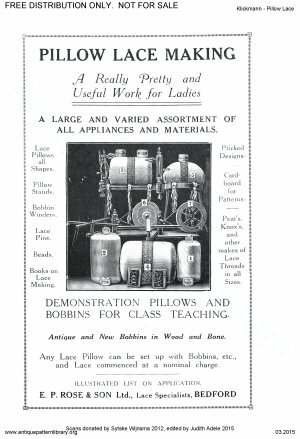 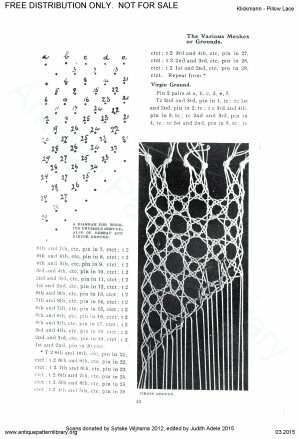 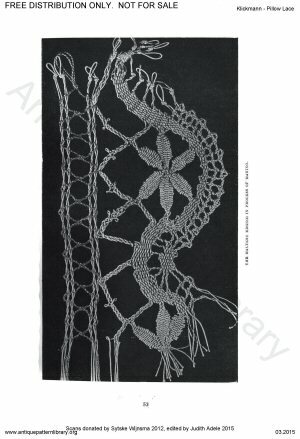 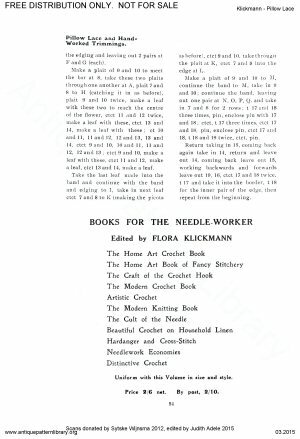 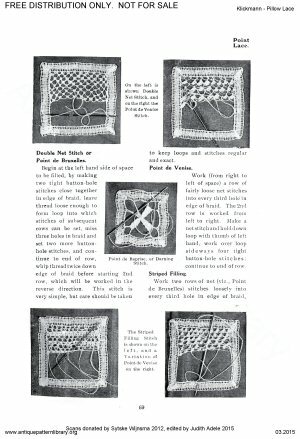 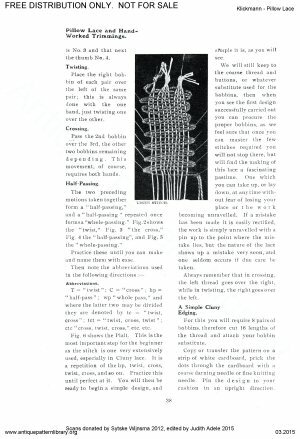 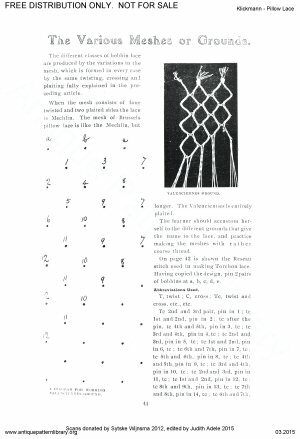 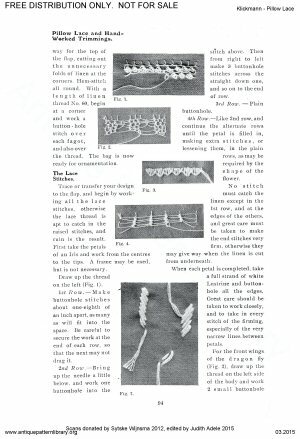 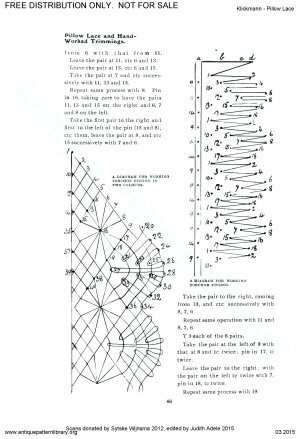 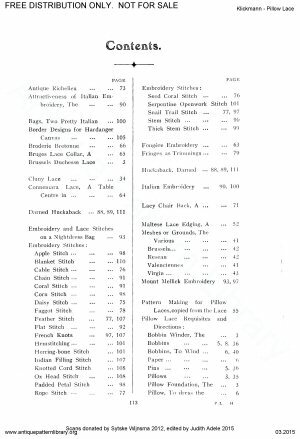 100+ page Instruction book covers more than intro and intermediate pillow/bobbin lace (Brussels Duchesse). 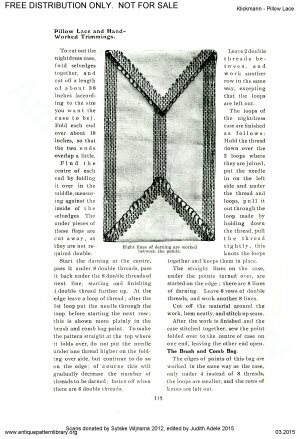 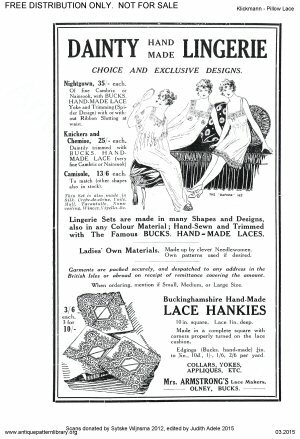 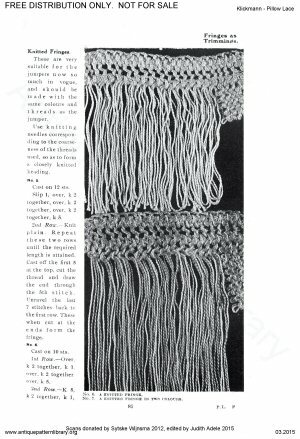 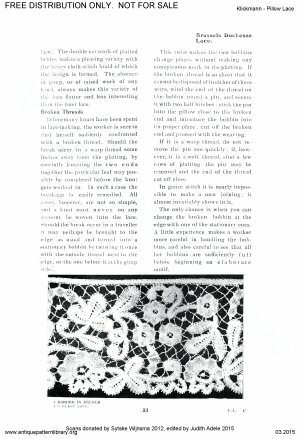 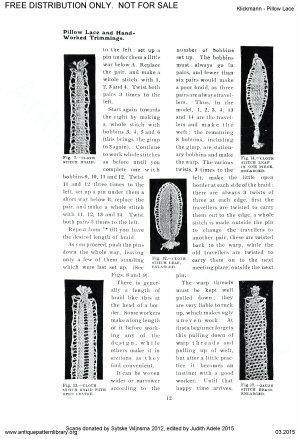 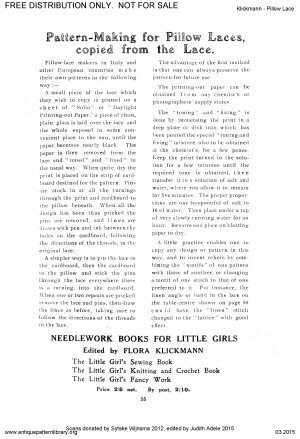 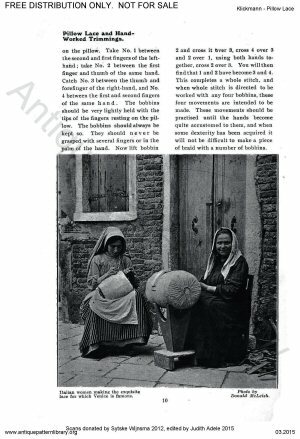 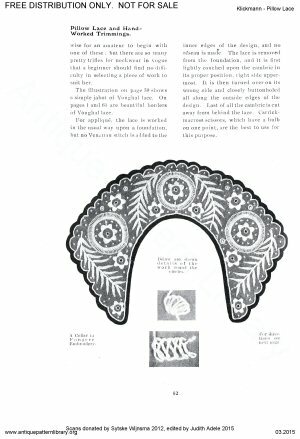 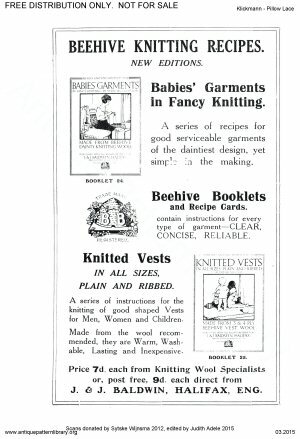 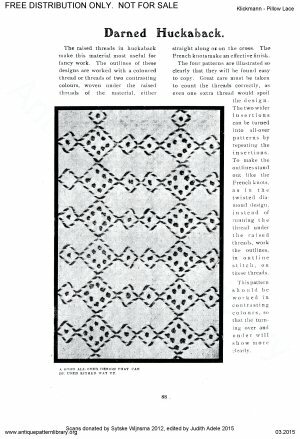 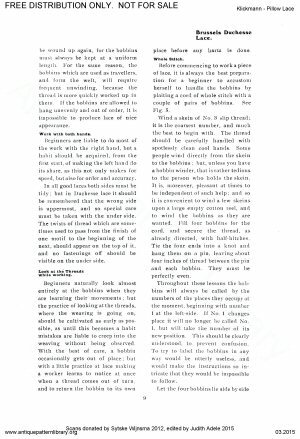 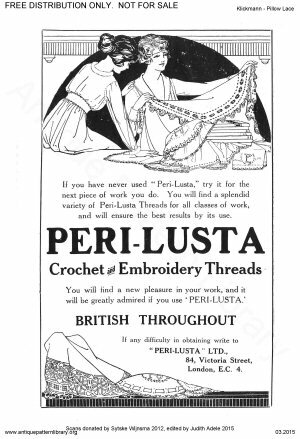 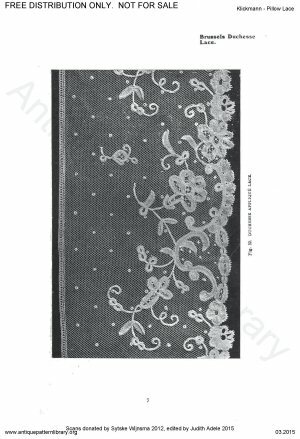 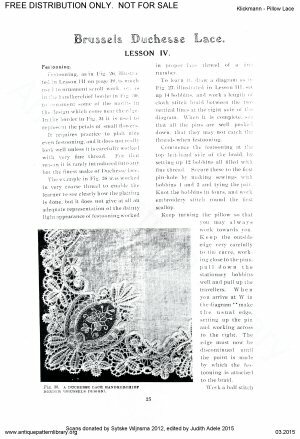 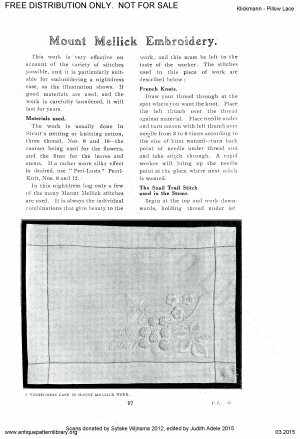 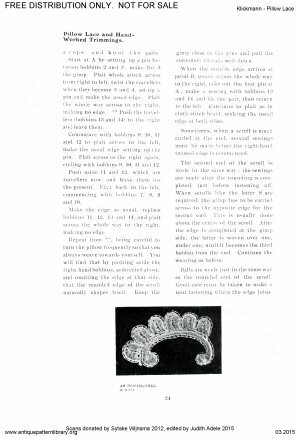 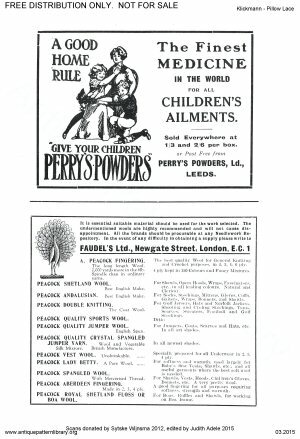 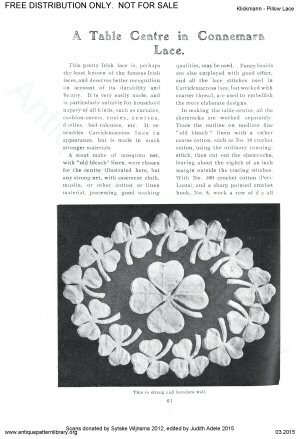 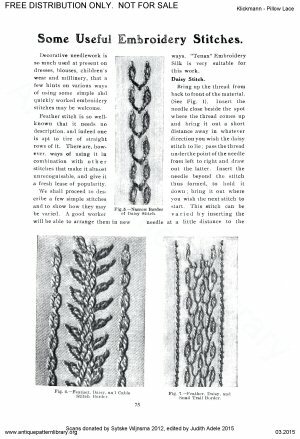 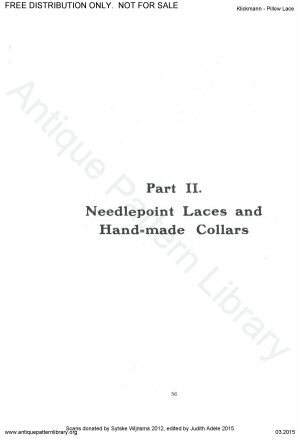 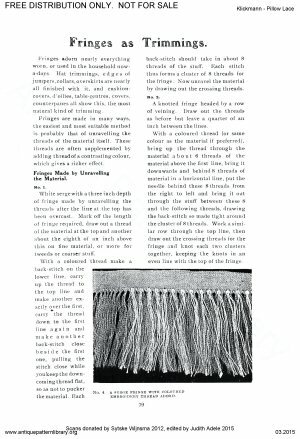 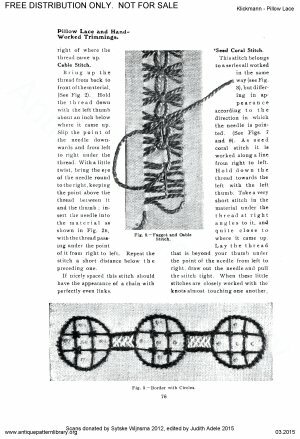 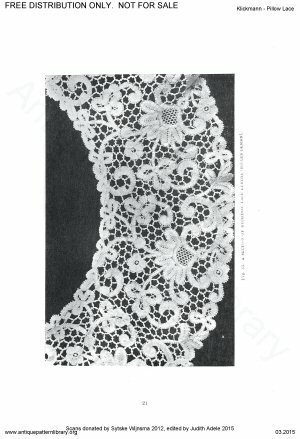 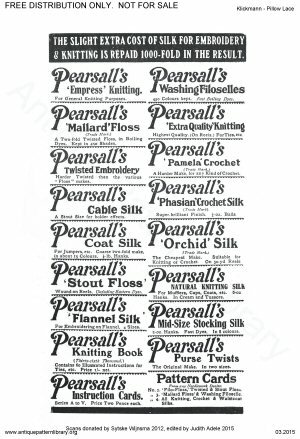 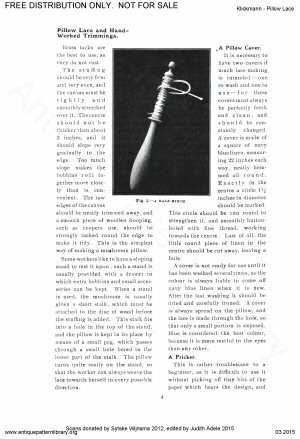 Includes needle lace (Youghal, Point lace), includes several styles of lace formed by applique or braid plus fillings on net. 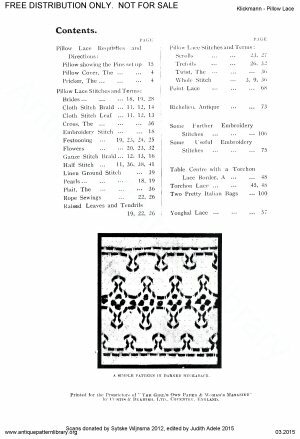 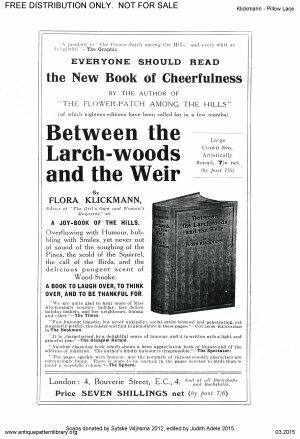 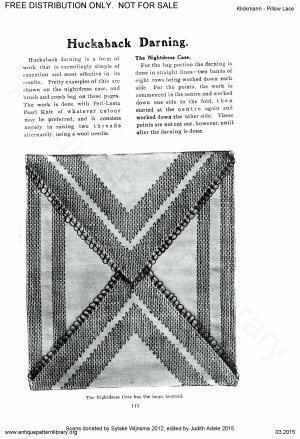 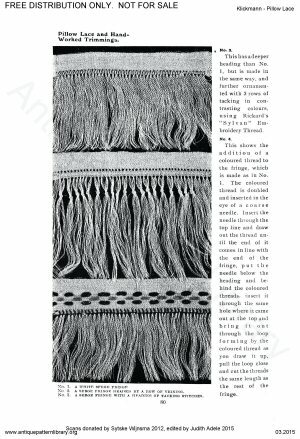 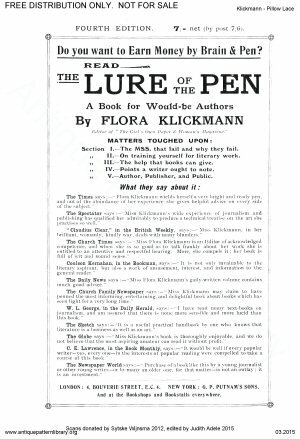 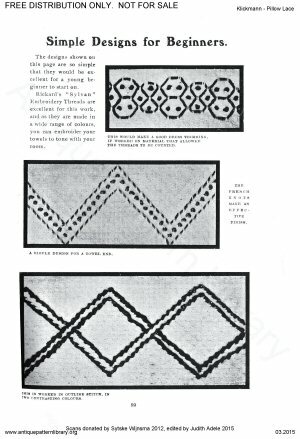 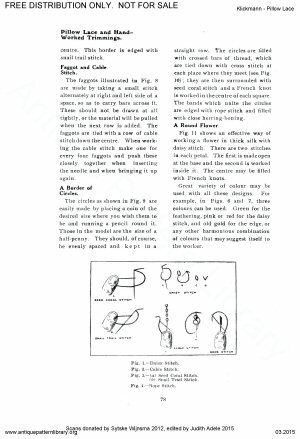 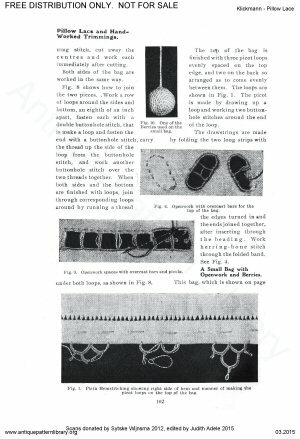 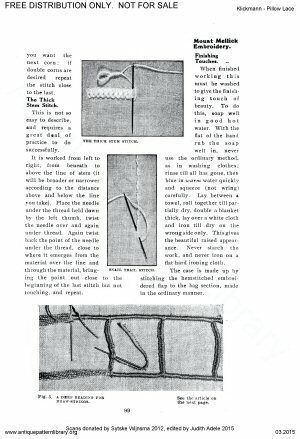 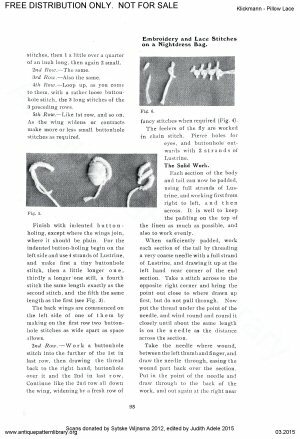 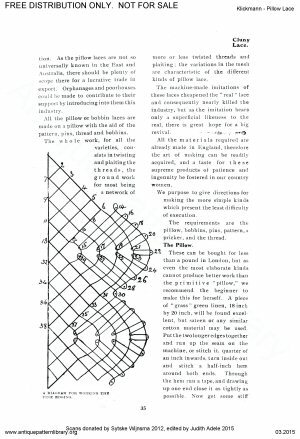 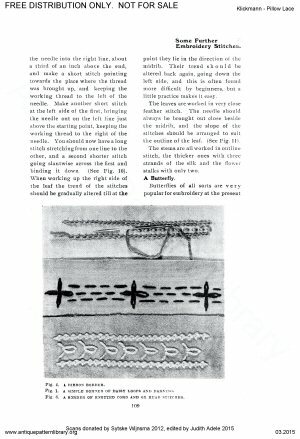 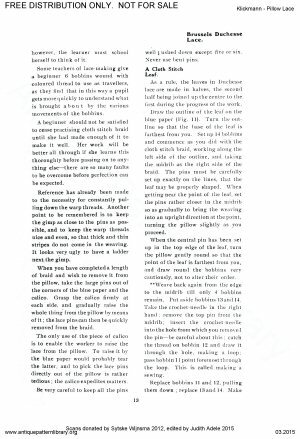 Plus surface emgroidery, Huckaback embroidery (Swedish darning), and fringe knotting are also included.